We would like to take this opportunity to wish all of our tenants, past, present and future a very merry Christmas and a prosperous New Year! 2013 has been an exciting year for Workspace Properties, with the addition of Kem Mill in Whittle-le-Woods to our portfolio, and 2014 already promises to be even better, with more news on our latest new site coming early in the year. As always, we are still looking to expand, so if you know of a site which you think may be of interest to us, then please do not hesitate to contact us. Don’t forget, we pay generous finders fees for any sites which we go on to purchase, so what better way to start the new year than with a nice cheque from us! 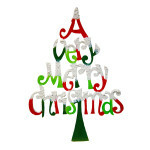 Our main office shuts down for Christmas on Friday 20th December and reopens Monday 6th January. Our out of hours service for emergencies continues to operate as normal on 01257 231100. Emails are also being monitored over the Christmas period. Great news for small businesses today in the Chancellors Autumn Statement, with the announcement that the doubling of Small Business Rate Relief is to be extended through to April 2015. This means that properties with a rateable value under £6,000 will continue to have no rates payable for small business owners – and scaling relief is available for properties with a rateable value up to £12,000. 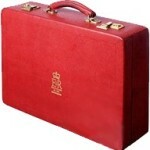 For full details of all the measures announced in the Autumn Statement, please click the link below. 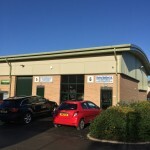 New to the market are Units 5 & 6 Chorley Central Business Park, Stump Lane, Chorley. 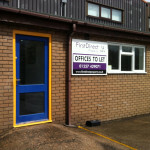 The units are a combined 1100 square foot, with the righthand 550 sqft unit made up of a reception/office area with a separate private office area, and the left hand unit used for storage and containing toilet and kitchenette facility with double doors connecting the two units together. Gas central heating to offices. 4 dedicated car parking spaces. No insurance fee or service charge. Click here to download a PDF floor plan of this unit. Fresh on the market, we have a 450 sqft office complete with 175 sqft storage room on site at Red Rose Self Storage in Leyland. The property is available at a weekly rate of £125+VAT and is inclusive of electricity and business rates, and is available to occupy immediately. The site is covered by 24/7 CCTV and benefits from a Police & Fire response monitored alarm system. Located on the popular Moss Side Industrial Estate in Leyland, it offers easy access to both Leyland and Preston, as well as further afield via the nearby motorway junctions for the M65, M6 and M61. For more information or to view the property, please contact us.